Self Catering cottages for peace and relaxation. 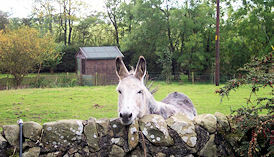 Close to Dumfries; located in the glorious Galloway countryside. We have two well equipped self catering cottages with log burning stoves. Enjoy a break at any time of the year. 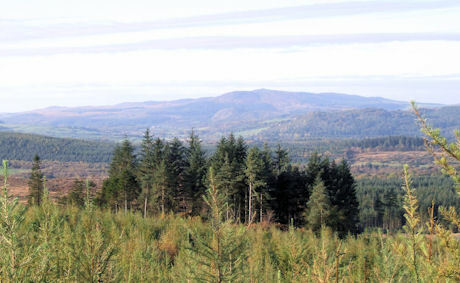 Dumfries and Galloway has many square miles of accessible forest. Galloway is now officially one of the best places for stargazing in the world having been named the first Dark Sky Park in the United Kingdom during the International Year of Astronomy 2009. 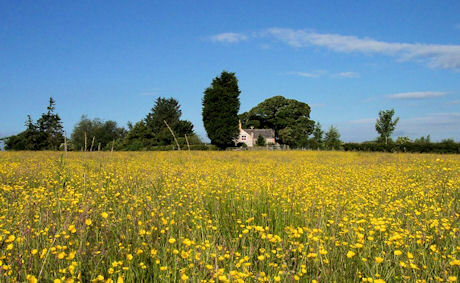 The Solway coast is within a short drive of Netherfield Farm and its self catering accommodation. 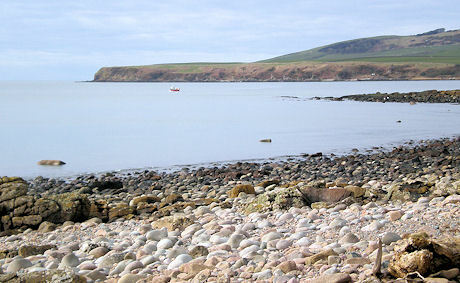 There are many miles of coastal paths and sandy beaches. 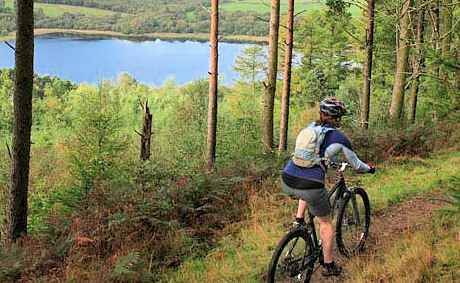 Our cottages are only a short bike ride away from Mabie forest; one of the famous 7-Stanes mountain biking centres. Dalbeattie Forest is a 15 minute car ride away and Ae forest is less that 20 miles to the north of us. 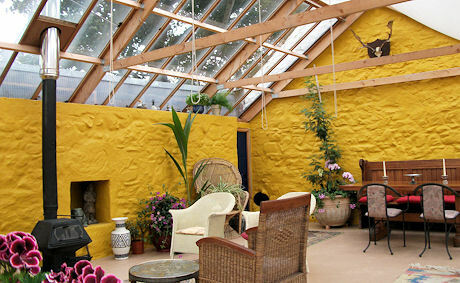 The courtyard also has a large glasshouse which has recently been refurbished as a relaxing space for our guests to enjoy during their stay regardless of the weather. 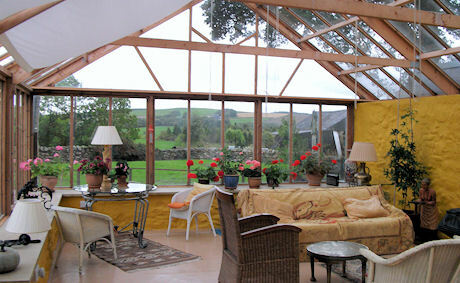 Stable Cottage sleeps 2 persons and Bothy cottage can sleep up to 3 persons. The cottages are well equipped for cosy year round occupancy. We are idealy situated close to Mabie Forest for those keen on Mountain Biking and walking. 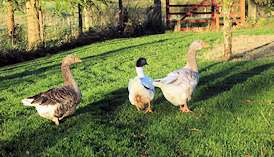 Caerlaverock Wildfowl and Wetland trust and Mershead Reserve are only a short drive away for those guests interested in bird watching. There are 29 golf courses in Dumfries & Galloway so you can forget the crowds and select your own tee times.Castles and gardens, forests and lochs; Dumfries & Galloway has so much to offer. 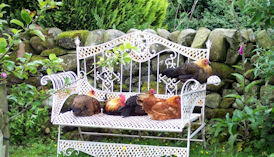 We keep a good selection of free range chickens. Please keep your dog under control. Unfortunately we no longer have our two rescued donkeys as due to their age they have now retired to the Donkey Sanctuary in Devon. Dumfries spans each side of the River Nith as it flows towards the Solway. Known as Queen of the South, its red sandstone architecture gives off a warming glow in the late evening sun. Home to literary greats in times gone by, such as Robert Burns and J M Barrie. Dumfries still has a vibrant arts scene today and is the centre for the region-wide arts celebrations of Dumfries & Galloway Arts Festival in spring and the late summer storm of arts and entertainment of Gaelforce. We try to be very flexible and are willing to accept short break bookings. Please phone with your requirements. Many of our guests return time and again to enjoy the peace and relaxation that Netherfield Farm has to offer. For all enquires please telephone us. We prefer to talk to you so that we can ensure that you will have a happy and contented stay at Netherfield Farm.